"This stretchy, easy-care 96% organic cotton/4% spandex slub-knit jersey dress has a flattering V-front detail and is knee length. Fair Trade Certified sewing. 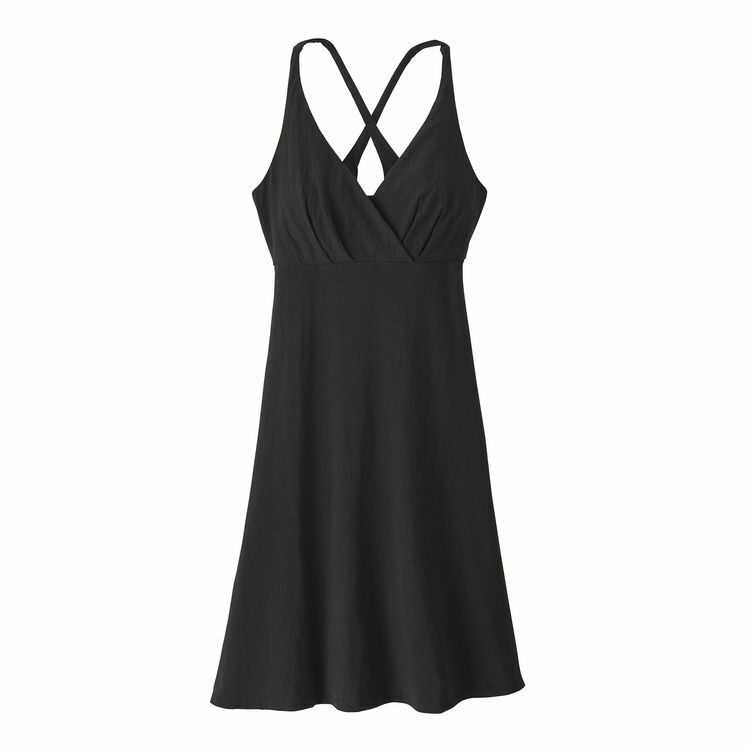 This easy-wearing dress is made from ultrasoft, 96% organic cotton slub-knit jersey fabric that has a subtle texture, with a touch of spandex (4%) for stretch. Flattering, strappy wrap-inspired empire bodice with a cross-back keyhole detail and A-line hem provide a classic silhouette. Length falls to knee. Fair Trade Certified sewing. 210 g (7.4 oz) "